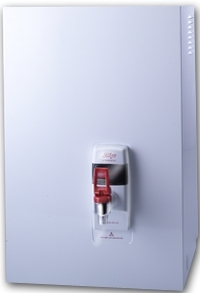 Zip Hydroboil range of instant hot water, instant boiling water, hot water dispenser, hot water urn, instant water heater or boiling water units has been specifically developed to offer the consumer all the benefits that a boiling water unit has to offer while at an affordable price. 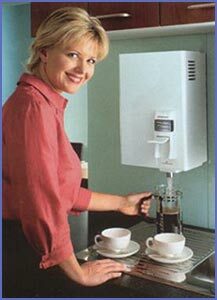 Up to 150 boiling cups/hr (45 at once) at the touch of a tap! Light-sensor stops working when you do! Easily programmed to fill your favourite cup/kettle/plunger! Improve workplace efficiency: never wait for water to boil! Get from 90 cups up to an incredible 215 Filtered Instant Boiling cups at once with Zip Hydroboil! 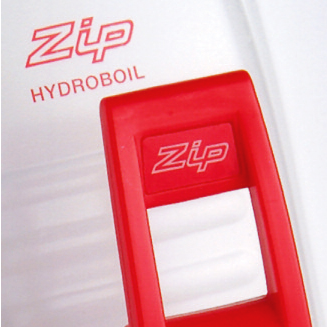 Packed with features designed for continuous high-volume use, the Zip Hydroboil is the most advanced Instant Boiling Water unit available! 150-360 cups/hr (90-240 at once) at the touch of a tap! Super-efficient, patented "Twin Chamber Technology"
Safety tap locks on to fill your favourite cup/kettle/plunger! 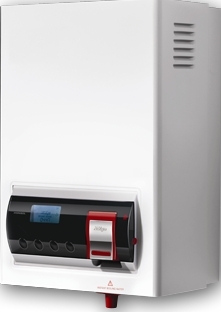 Flo-Rite Plumbing has service vehicles fully equipped to carry out instant hot water repairs and replacement cartridges to all Zip and major brand instant boiling water, hot water dispenser, hot water urn or instant water heater and boiling water units.